Today was a sad day for our family. 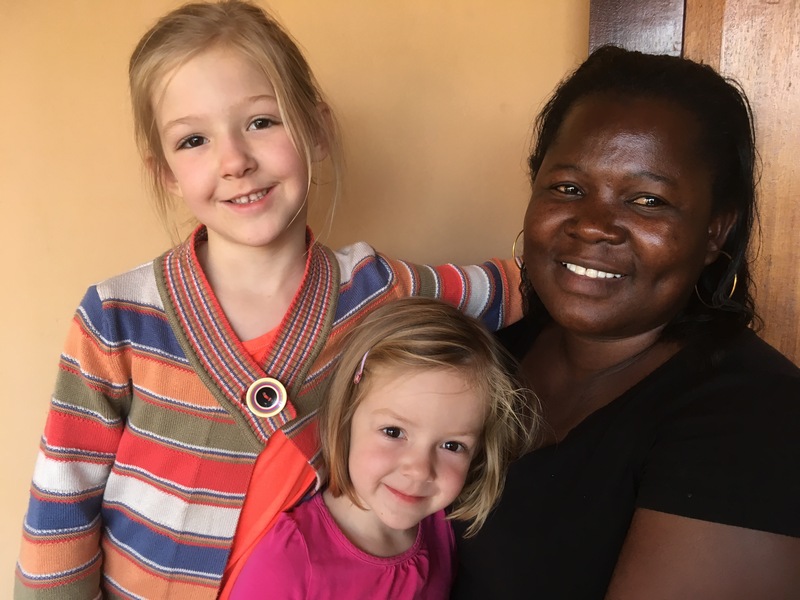 Our good friend, Priscilla, worked her last day with our family and will next week move far to the north to go to University of Malawi in Mzuzu. Priscilla has been part of our family for more than 3 years. She watched the girls for 4+ years while I taught Bible study, and then about 3 years ago worked full time for us when Martha was on leave for Timothy’s birth. After working full time for us, we realized this lady was a keeper. So she started watching the girls Tuesday and Wednesday mornings so that I could teach and catch up on other things around the house, like finances, blogging, etc. She also worked the afternoons and did all the housekeeping “extras” for us, like dusting the whole house, changing bed linens, washing windows, etc. We have loved her company, her diligence, and her friendship for many years. The girls adore Priscilla. She played make-believe with then, served tea parties, read books with them… She was that rare find of a nanny who loves your kids, plays with them, and teaches them with kindness. Look at those little grommets! They wanted a picture with Priscilla when we went on a 3 month furlough a couple years ago, so they wouldn’t forget her! Priscilla will be missed in our home, but we know she is making an excellent choice. She is extremely intelligent, and will be pursuing her degree in accountancy. We know she will do excellent work in her studies, and we are excited for all the employment opportunities that will open for her with such a degree! She will certainly be overqualified to be our nanny, but these girls are growing up now. With Naomi in Pre-K and Abigail in 2nd grade, school fills our days and we no longer need a nanny. 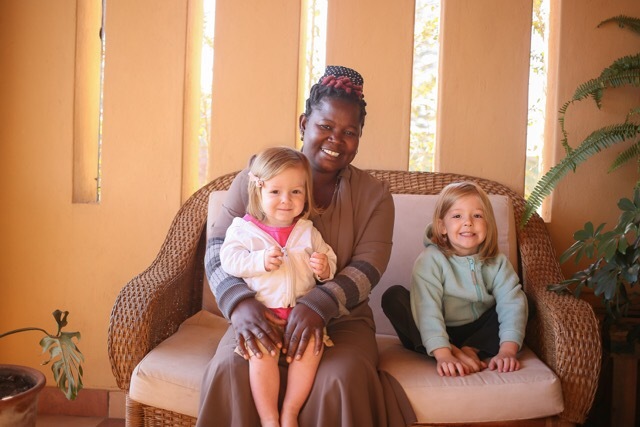 But for the next 4 years every time we drive north through Mzuzu, we are going to go find our dear friend Priscilla! This friend is a keeper! 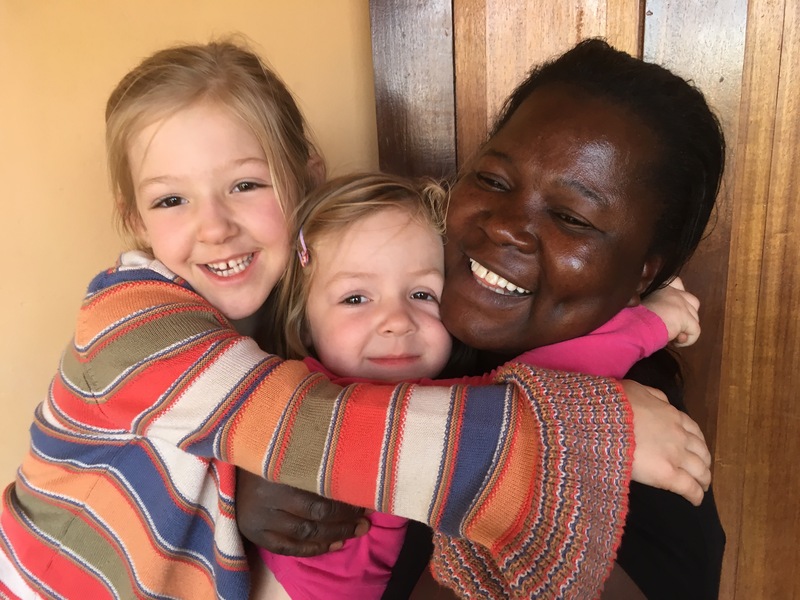 This entry was posted in Abigail, Family, Life in Africa, Naomi, Our House. I remember her and how excited the girls were to see her coming. Best to you, Priscilla!